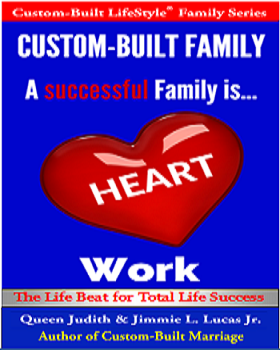 Custom-Built Family (CBF) is not “just” another book on Family Relations and the do and don’ts. but rather, this is a life publication of faith-filled, life-giving words of Stewardship, Relationship and Leadership...wrapped in love and vision…with Fatherhood, Motherhood, Women development, and Children empowerment emphasis. It is time to Win in the Family...in all areas of life.